Door Closing Systems provides commercial door closers for clean rooms and laboratories. In particular, these types of locations require strict adherence to facility standards in order to allow the work necessary to remain uncontaminated. For scientists and others that work in a laboratory setting, this element is key in being able to control valuable research and protect equipment. In fact, lack of order can lead to a waste of time, money, and supplies. 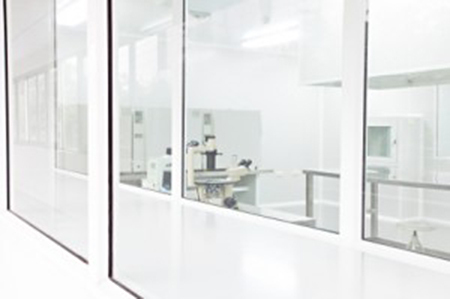 Door Closing Systems’ Secure Glide door closers can easily be installed on a variety of sliding partitions to heighten security, protect vital research, and ensure a controllable environment. When the use of door closing systems happens in conjunction with other best practices including communal equipment maintenance, proper storage of supplies, and efforts in self-organization, efficiency can be introduced into even the untidiest of spaces. At Door Closing Systems, our systems also can isolate work areas with clean yet efficient space delineations to minimize the risk of human error when doors are left open. Just as the saying goes, “Where you born in a barn?,” when leaving a door improperly open, now you can rest assured that you can smartly answer back “No. 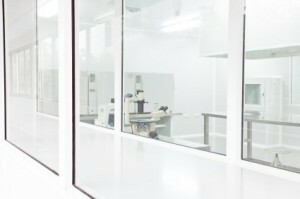 In a lab!” while the door gently closes securely behind you, every time.